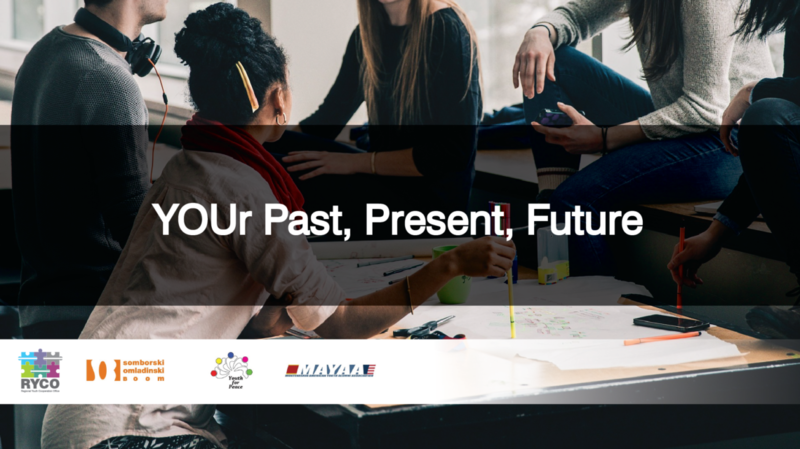 WESTERN BALKANS – Youth for Peace, in cooperation with Somborski omladinski Boom and MAYAA – Montenegrin American Youth Alumni Association, invites youth to take part in the project YOUr Past, Present, Future. The project is supported by RYCO within its first Open Call for Project Proposals. The aim of the project is to educate youth on topics of discrimination, constructive conflict transformation, human rights, hate speech and peace-building. Through discussion in the international environment participants will expand their knowledge and reflect on mentioned topics in a critical way. Activities will be facilitated by experienced trainers in the specified fields. By completion of training all participants, in addition to the certificates, will have a chance for further engagement in the project, as well as the possibility for cooperation with all the three partner organizations. The number of places is limited, the total number of 15 participants will be selected, 5 from each, Bosnia and Herzegovina, Serbia and Montenegro. All costs of travel, accommodation, food and working materials are covered. Application deadline: 26 September 2018, 23:59.